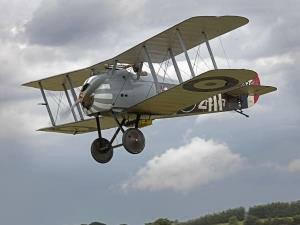 Stow Maries Aerodrome is a Great War Aerodrome set in the rural Essex countryside. The Aerodrome was in use from 1916 to 1919 as a home defence station in the war against Zeppelin and German aeroplane raids. It has many of its original buildings in situ which are currently undergoing restoration to bring the site back to its 1918 appearance. It also boasts a wildlife walk which was the winner of Maldon District Council Conservation and Design Award 2010. Normal open day prices. Adults £4 per head. Concessions £3 per head. Under 16 £2 per head. Groups of 25-50 persons £100. Groups of 50-100 persons £200. Cocah parties £150. Please note. Special event day prices will vary from those shown and will be advertised on our website and facebook page.